The scheme aims to get candidates ready for the workplace with employability skills and work experience. This latest two-week programme focuses on the hospitality and tourism sector. It is supported by employers Summergrove Halls and the Georgian House Hotel, who will ensure candidates are appropriately prepared for this sector. There is even the chance of a job at the end of the scheme for the right candidates. Copeland Mayor, Mike Starkie, said: “I am proud that we’re offering these programmes through the partnership, as they really do make a difference. Because they focus on certain sectors, they offer candidates bespoke preparation for that industry and, for many candidates, it has led directly to jobs. 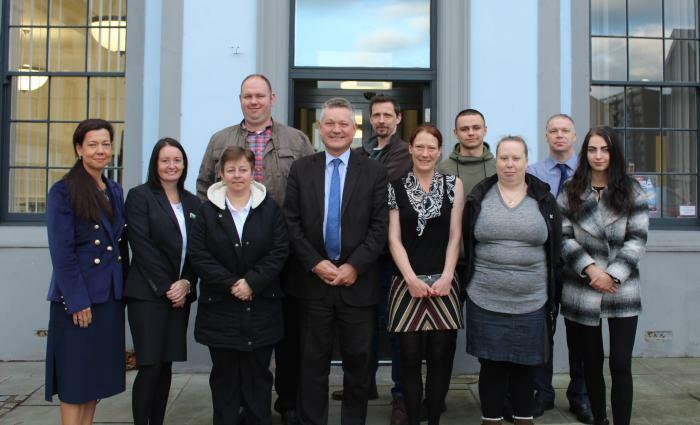 This is the sixth work academy that Copeland Council and its partners have delivered, and 67 people have so far taken part. All applicants are guaranteed a job interview at the end of the scheme. Candidates are referred to the programme by the Department of Work and Pensions and other organisations helping people into work. Sector-based work academies are part of a programme of activities being delivered by Copeland Work and Skills Partnership until June 2019. Copeland Community Fund is funding the activities, while Copeland Borough Council is funding a staff member for three years to devise and deliver them. The partners in the Copeland Work and Skills Partnership are: Copeland Borough Council, Citizens' Advice Bureau, Cumbria County Council, Cumbria Council for Voluntary Service, Cumbria Youth Alliance, Department for Work and Pensions, Gen2, Groundwork North East and Cumbria, Home to Work/Works 4 You Ltd, Howgill Children’s and Family Centre, Impact Housing, Inspira, Lakes College, Millom Network Centre, Phoenix Enterprise Centre and West Cumbria Works. Picture caption: Members of Copeland Council’s latest Work Academy: Firouzeh Madhoush, Reagan Skipper, Fiona Thompson, John Story, Jennifer Topliss, Jack Blackwell-Stagg, Amy Hindmarsh, and Katie Chapman, with Mayor Mike Starkie, employers Stephanie Skelly (Georgian house Hotel), Stephanie Eilbeck Summergrove Halls and Craig McLeod (Summergrove Halls), and Copeland's Work and Skills officer, Chris Pickles.